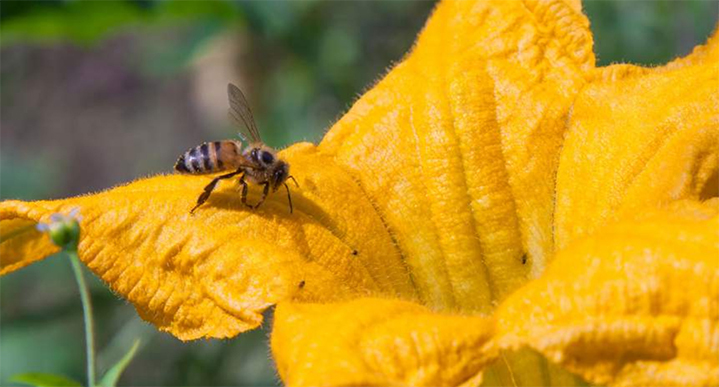 A recent report released by Friends of the Earth revealed that very few of the nation’s biggest food retailers have what it considers satisfactory policies and practices in pollinator protection, pesticide reduction and organic offerings. The organization graded 20 of largest retailers in the report, “Swarming the Aisles: Rating Top Retailers on Bee Friendly and Organic Food”. In the category of publicly available policies on reducing or eliminating pesticides in order to protect pollinators, only Aldi, Costco and Whole Foods received passing grades. “U.S. food retailers must take responsibility for how the products they sell are contributing to the bee crisis,” said Tiffany Finck-Haynes, food futures campaigner with Friends of the Earth, in a press release. “The majority of the food sold at top U.S. food retailers is produced with pollinator-toxic pesticides. According to Friends of the Earth, neonicotinoids (insecticides) are a leading cause of pollinator declines, while glyphosate (the most widely used herbicide) has been tied to monarch butterfly declines. In conducting the report, FOE mainly used publicly available information sources such as company websites and annual reports, SEC filings, corporate social responsibility and sustainability reports, press coverage, and other forms of industry analysis.